Want to know what bars and restaurants have the best specials tonight? 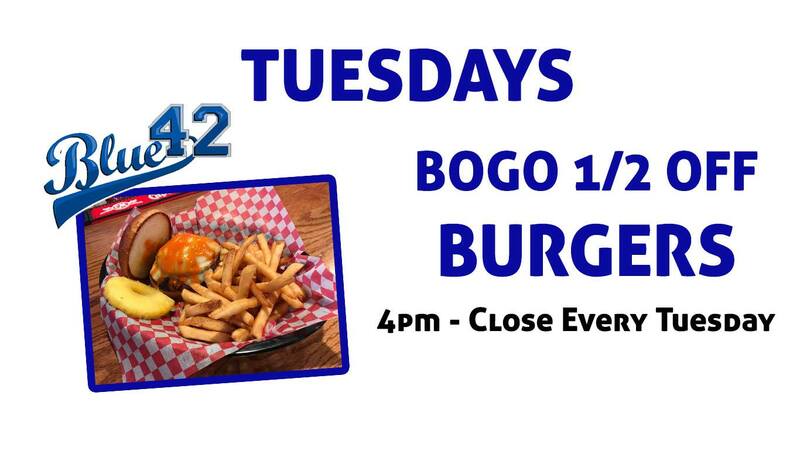 $7 Burgers - 11 am - 10 pm Happy Hour All Day! BB's Pub and Grill - Tuesday Specials BB's Pub and Grill 3400 W. 49th St.
College students get 50% off their entree with the purchase of a beverage and active student ID. Happy Hour 4 to 7 – $1 off EVERYTHING! $2.50 Long Islands ALL DAY! Tuesday Night Is College Night! !